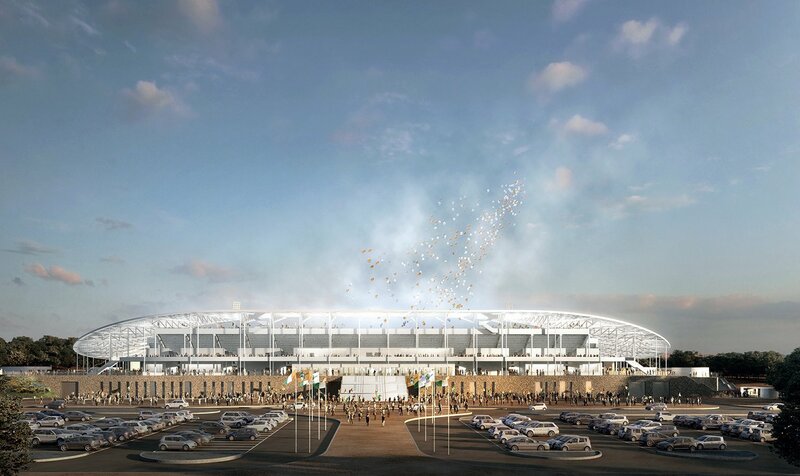 In September of 2017 the government of Ivory Coast launched a design+build+finance tender for a brand new stadium in Yamoussoukro, the country's administrative capital. 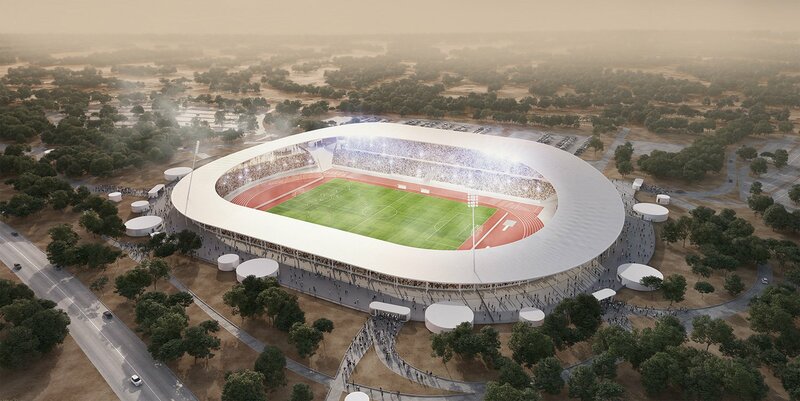 It's one of three 20,000-seaters planned for the 2021 Africa Cup of Nations across the country. 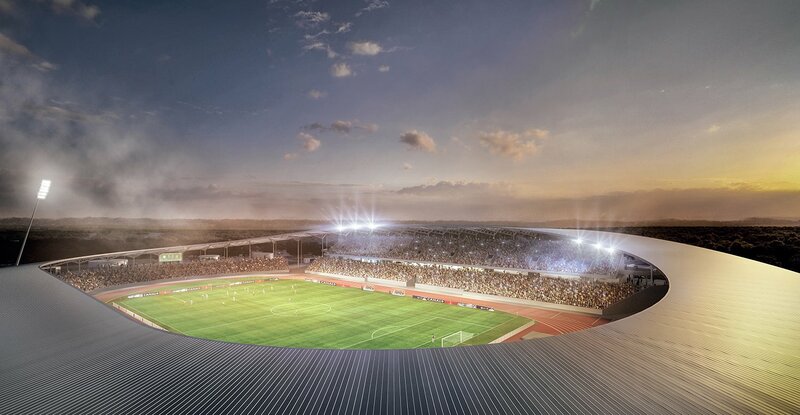 In early March 2018 it was announced that a joint venture of SCAU architecture (known for Stade de France, new Stade Velodrome and Atatürk Olimpiyat Stadyumu) Sogea Satom (Vinci group), Baudin Chateauneuf (steel structure), Alcor (seating specialist) and Egis (engineers) were selected out of impressive 45 (!) bids from around the world. Situated on the east side of the city, SCAU took an approach to create a stadium that was both monumental and minimalist. 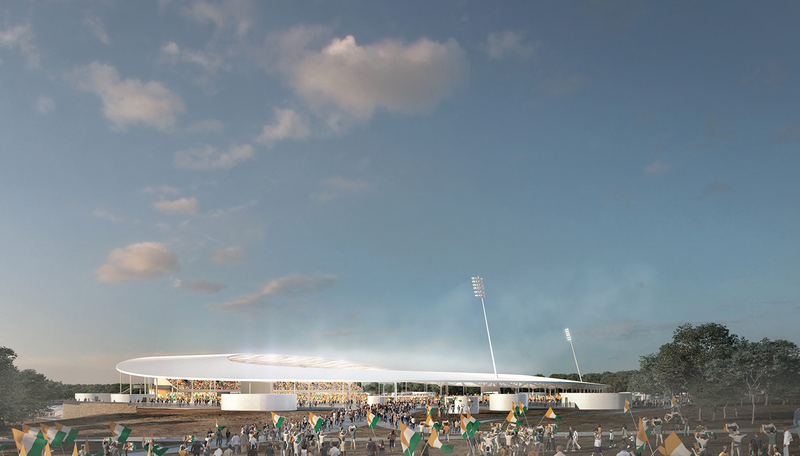 Monumental – to create a strong image for Ivory Coast that will be broadcast around the world. Minimalist – to ensure a simple low cost in use building with a long life. A single roof covers all the stands rising and falling to adapt to the volume underneath and focuses the attention towards the pitch. Catering facilities and toilets are elegantly placed around the stadium, outside. 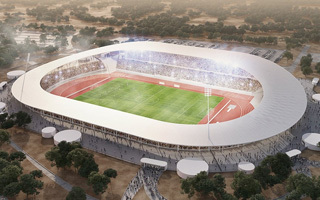 As with all SCAU’s stadiums, they paid particular attention to life of the stadium after the event. The heritage of a stadium is key to its profitability and maintenance and so SCAU consulted with various local sports and education groups to imagine how some of the spaces maybe used on a daily basis after CAN. Building work is due to start on site mid 2018 with completion mid 2020. The cost is € 56 million.